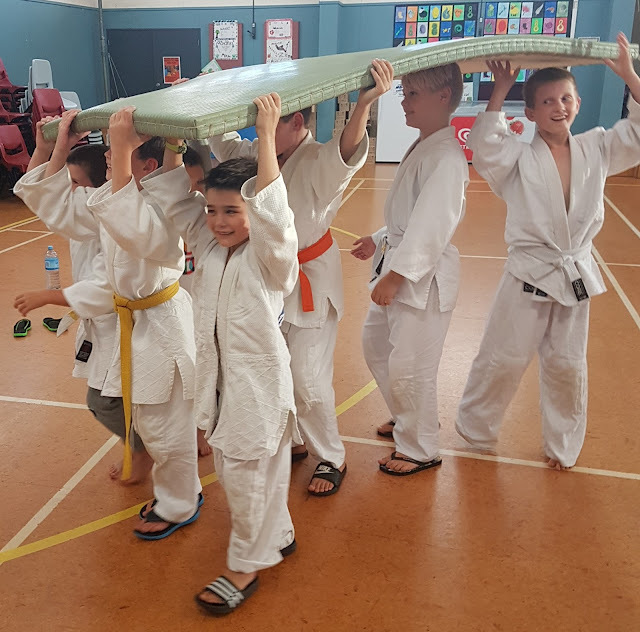 Some photos of the Big Judo Kids in Pukekohe training. 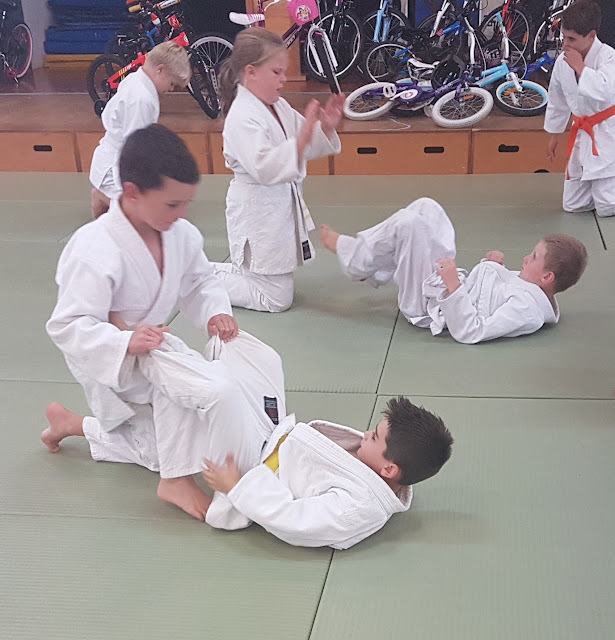 Big Judo teaches Kosen style Judo and we take a lot of pride in being good on the ground,. 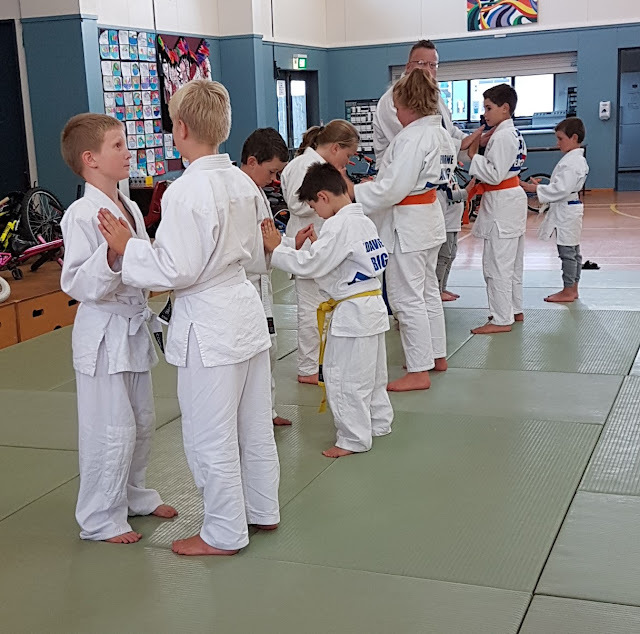 We get the kids started early on ground fighting and push them at it,. We also put a lot of emphasis on develop 'flow' and 'control' as they transition from standing to the ground. Here the kids are drilling the guard and 'passing' through the 'guard'. Games help us teach balance and coordination. At Pukekohe the mats have to put out and packed away. Some people moan about putting mats up and down, but these kids are having a good time. More importantly they are learning that sometimes you have to work a little to get what you want in life. And if you have to work there;'s no point whinging just make the best of it.